OUR SPRING OPEN DAY WILL BE HELD ON SUNDAY THE 27TH OF OCTOBER FROM 11AM – 3PM. Our Open Day and Annual Reduction Sale is held twice a year, in Spring and Autumn. The event is free of charge, no bookings are necessary. Please arrive anytime between 11am-3pm, and one of our friendly staff will be more than happy to show you around our farm & answer any of your questions. As usual, our alpacas and llamas (and their babies!) will be roaming in amongst all our guests around the house. 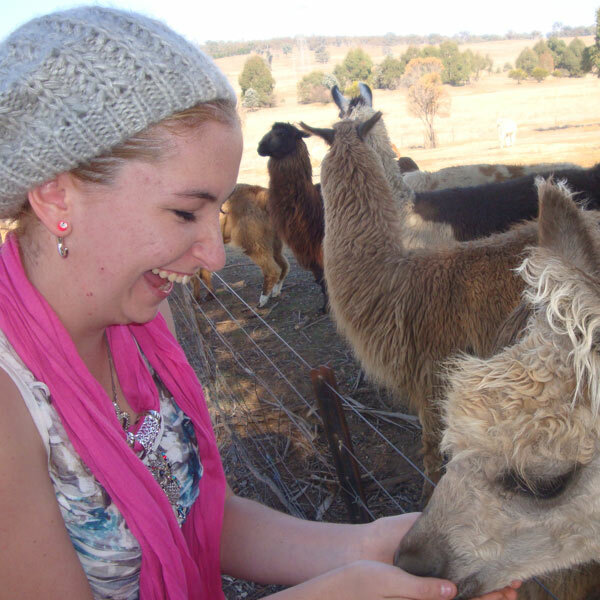 Everyone is more than welcome to get up close with our darling llamas & alpacas, give them lots of cuddles, feed them carrots, and take lots of selfies! We’ll have experienced guides available all throughout the day to assist anyone that’s a little nervous. We will also have experienced cow & donkey tour guides allowing guests up close & personal access to our miniature galloway cattle and donkeys. They will be available to answer any questions you may have about these animals and how to care for them. Please note: as donkeys struggle to tell the difference between carrots & fingers, unfortunately we do not permit feeding of our donkeys. This year we’ll have our regular spinning demonstrations, and will also have a stall selling not only bags of carrots, but llama pens, llama key rings, llama plush toys, alpaca magic badges, and felted llama fridge magnets. This stall has eftpos capabilities, so don’t stress if you’ve spent all your cash on sausage sandwiches! Feel free to bring a picnic basket and stretch out in the garden, or bring a few coins to buy a sausage sandwich or some baked goods from the Lions Club of Brindabella, who will be running the barbecue. Please note: Families with small children are more than welcome at our open days. However, as our animals will mixed in with our guests, we ask that children are well supervised and understand the importance of being respectful of our animals. 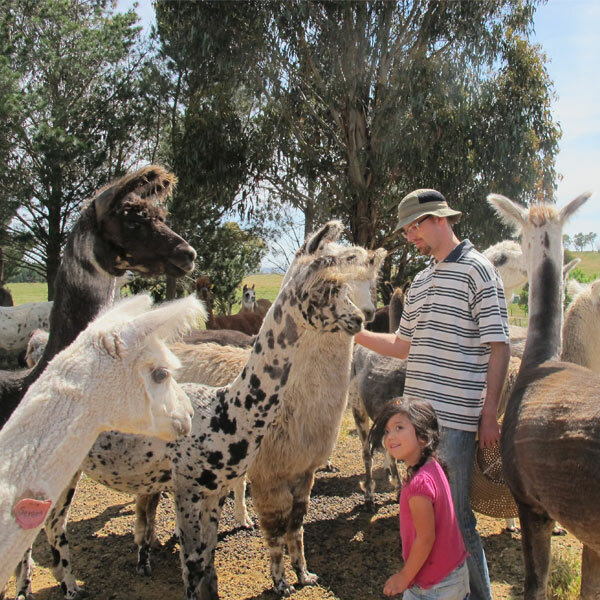 We have specials on our WHITE ALPACA FEMALES, some of our ADULT FEMALE LLAMAS, our STUD MALE ALPACAS AND LLAMAS, and our GELDED MALE LLAMAS. Please email us for a price list. For more information, or if the Open Day is not suitable for you we would welcome your phone call on 02 6230 3311 or your email to arrange a mutually suitable appointment, perhaps a twilight visit one weekday?